The following is a checklist of items to have prepared and ready to go. Portable pet carrier for cats, small dogs, other small animals and birds. Clearly label the carrier with pet�s name, your name, address and phone number. Get pet(s) accustomed to carriers ahead of time. Keep in easily accessible place. Dry towels or blanket to line carrier and use if necessary. Food and water bowls for each animal. 1-2 weeks supply of food and water in airtight containers. Check periodically and replace with fresh as needed. 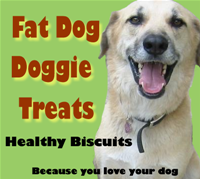 Include your pet´s favorite treats and toys. If you use canned food, hand-operated can opener. 1-2 weeks supply of all medications your pet is taking clearly labeled with administrative instructions. Be sure to include flea preventative and Heartworm treatment. Check these supplies periodically, and adjust and replenish as needed. Litter and litter boxes for cats. Empty soda water boxes or disposable aluminum pans are excellent as disposable litter boxes. Collar with current identification tag and microchip. Check out boarding kennel beforehand and keep the name and number handy. Numbers of pet-friendly hotels and motels. Written instructions on caring for your pet in the event you must leave pet at the boarding kennel. Animal First Aid Kit (Ask your veterinarian what your pet will need). Leashes. Keep extra in emergency kit.